WRFI Community Radio for Ithaca and Watkins Glen started in 2002 as Ithaca Community Radio (often referred to as ICR), when a founding board member re-mortgaged her home to obtain the Federal Communications Commission (FCC) license for 88.1 FM in Ithaca. The frequency was for a translator (a re-broadcasting station) -- not a primary license, so we were not yet able to broadcast our own signal. The next five years were spent re-broadcasting WEOS from Geneva, while volunteers worked with engineers and legal counsel to prepare an application to the FCC for a primary station license. In 2007, the FCC opened an application window for broadcast licenses and we were finally able to submit our application. There were over 3600 other applications from around the country, and we were fortunate to be granted two of the few hundred licenses for primary stations, for WRFI in Watkins Glen and WINO in Odessa. We had a three-year time limit to construct, test and bring these primary stations to operation, so our volunteers began work on conducting field engineering studies, building broadcast and transmission facilities, and establishing a broadcast studio. During this period, we also established a partnership with Binghamton's WSKG, to bring programs like Capital Pressroom and Free Speech Radio News to Ithaca, re-broadcasting their HD station, WSQX. In June of 2012, we had finished construction of our Clinton House broadcast studio in downtown Ithaca and finally went on the air as a community owned and operated station whose programming serves our community in Tompkins and Schuyler counties. Now that we had our own primary license, we rebranded as WRFI Community Radio for Ithaca and Watkins Glen, and held our first-ever community radio fundraising marathon in December 2012, raising almost $10,000 in one week and introducing many community members and organizations to both our broadcast studio and our listening audience, by bringing them on the air as guests and hosts. Since 2012, we've been busy expanding our local programming, training dozens of volunteers, developing effective and sustainable operations for the station, improving our signal quality and stability. In 2014 the station hired a part-time station manager, and, in 2017 a part-time news director. The addition of a modest staff has enabled the station to leverage the amazing energy of volunteers to steadily improve the quality of our broadcasts. We strive to continuously improve the service we provide the local communities we serve and, in 2017, rebuilt our website to reach new audiences online. The station’s dedication to training community members in the craft of radio has not only continued to improve the quality of our own broadcasts, but has also sent several volunteers on to professional careers in radio. From its humble beginnings, Ithaca Community Radio has become a pillar of our local communities and looks ahead to a bright future. In 2018 we celebrated the completion of construction of our new Studio B: the Nicholas Hill Space for Creative Radio, and received a New York State Community Capital Assistance Program grant to update our aging broadcast equipment. 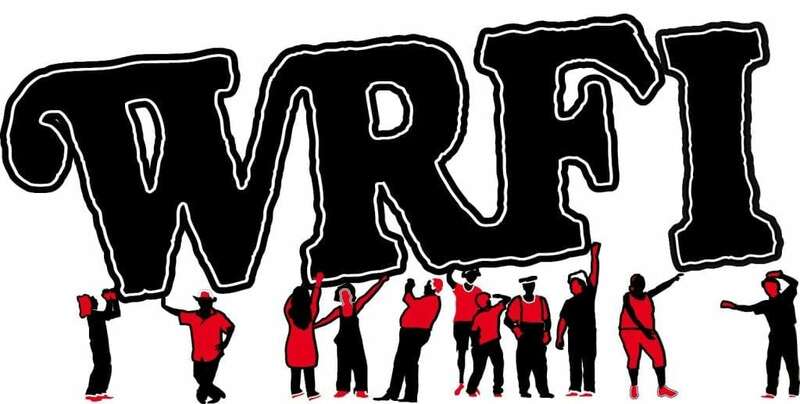 WRFI Community Radio is a work in progress, and is powered by volunteers. There’s room for your voice here, please contact us to become part of our continuing story!